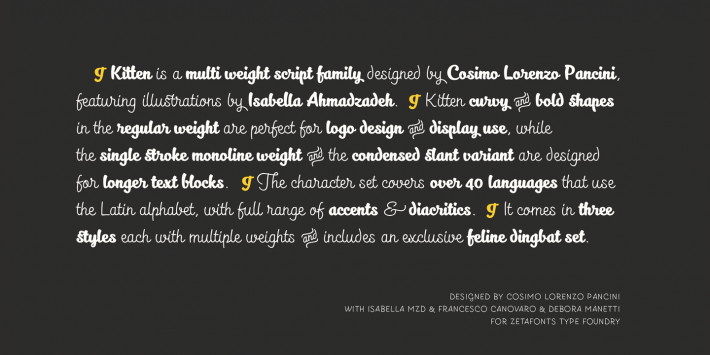 Kitten is a multi weight script family with a signpainter aestethic and a wide range of variants, alternates and ligatures designed by Cosimo Lorenzo Pancini, with cat dingbats designed by Isabella Ahmadzadeh. 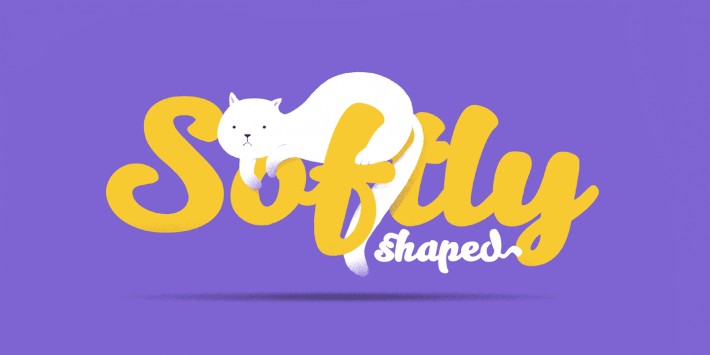 Kitten curvy, bold shapes in the regular weight are perfect for logo design and display use, while the clean lighter weights, as well as the Monoline and the condensed Slant variant, are perfect for longer text blocks. 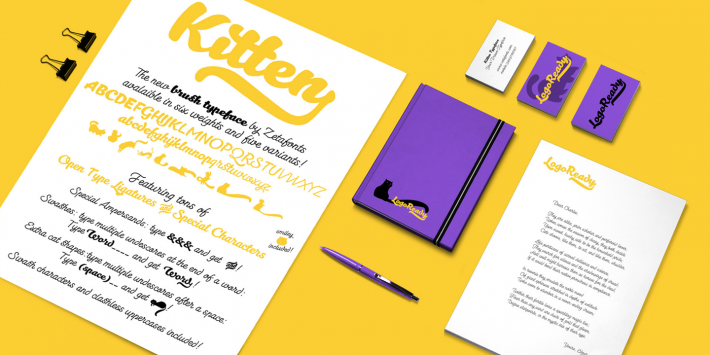 Kitten covers over 40 languages that use the Latin alphabet, with a full range of accents and diacritics. 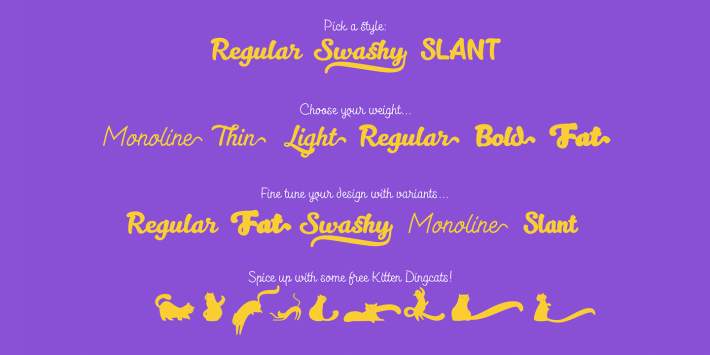 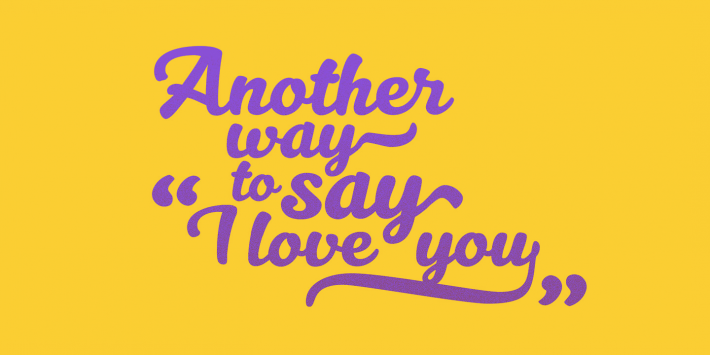 It comes in five weights and has three style variants: Regular, Slant and Swash. 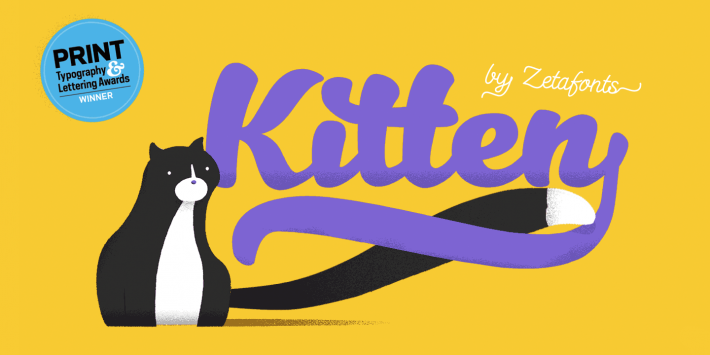 Kitten makes full use of Open Type ligatures to avoid letter clashes in uppercase and provide alternates and a wide array of ligature characters for a more handmade, natural look. 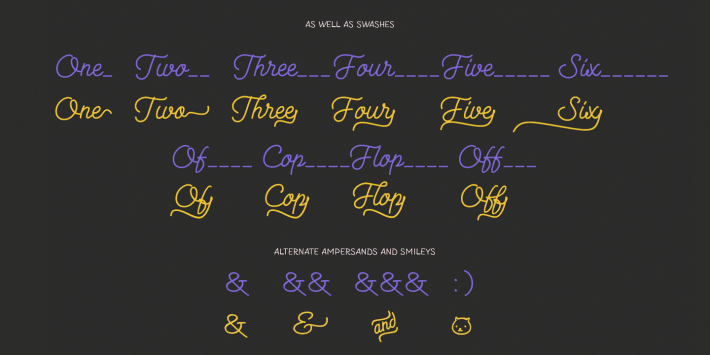 Swashes can be accessed through glyph palette or by typing one to six underscores after the letter. 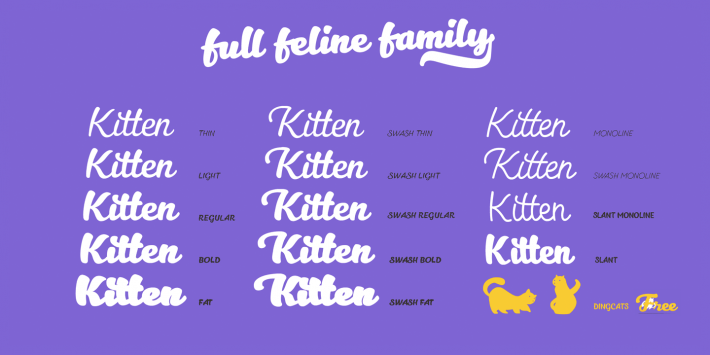 A space followed by one to eight underscores produces different cat silouhettes.